Motorsport and an association with motorsport is quite absolute, isn't it? Racers chase the ticking hands of a clock, around a race track, and in the quest to be the best, they leave behind memories that will last forever, and forever transport people back in time. 2017 marks the 50th year of Gulf Oil's participation at the legendary 24 Hours of Le Mans. Yes, Gulf has made it to the half-century point in its incredible history with what is probably one of the toughest races in the history of motorsport. But the company's association with motorsport goes way back to the late '30s. Racing has for long been the ultimate test of oil and related products and that's what prompted Gulf to participate in the legendary Indianapolis 500 race in the Gulf-Miller four-wheel drive cars in 1938. The race didn't go as planned as the cars were out of luck. The late 60s and 70s was the time when Gulf promoted the brand by financial or technical partnership with major racing teams. Gulf's then vice president Grady Davis linked the company up with John Wyer to mastermind Gulf's participation in the World Endurance Championship. In 1967, the Gulf-JW team raced at Le Mans with three cars- one Ford GT40 and two coupe versions of the car, better known as the Mirage M1. These cars were painted in the, now famous, light blue and orange, Gulf Oil livery. It is, by far, one of the most recognisable liveries in the history of motorsport. 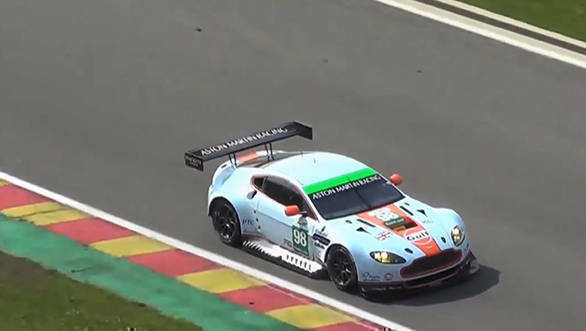 The colours, in fact, are quite synonymous with Gulf, which is why the company decided to trademark its racing colours. Their maiden Le Mans race turned out to be quite the opposite to what they'd hoped for. Imagine how gutted they must have felt when all the three cars failed to finish. The Gulf-JW team, however, made it a point to bounce back the next year. In 1968, the Gulf Ford GT40, driven by Mexican driver Pedro Rodriguez and Belgian, Lucien Bianchi crossed the finish line in P1, to take Gulf's maiden victory at Le Mans. The winning streak continued in 1969, when Belgium's Jacky Ickx and Briton, Jackie Oliver managed to clinch a stunning victory. The duo were under immense pressure from the competition, but they held their nerve and in the end the distance between their Gulf Ford GT40 and the factory Porsche in second position was merely a few car lengths. To date, that's regarded as one of the closest races in the history of the 24 hours of Le Mans. The Gulf team soon attained status of something special at the Le Mans and over the next two years, the team's association with the race deepened further as it began racing with the Porsche 917. The Gulf 917 was widely regarded as a pretty competitive car, however, it never crossed the finish line in P1 at Le Mans. The highest position it managed at the 1971 Le Mans was P2. All said, the car gained immense popularity due the role it played in the 70's movie, Le Mans as the car raced by Hollywood superstar Steve McQueen. 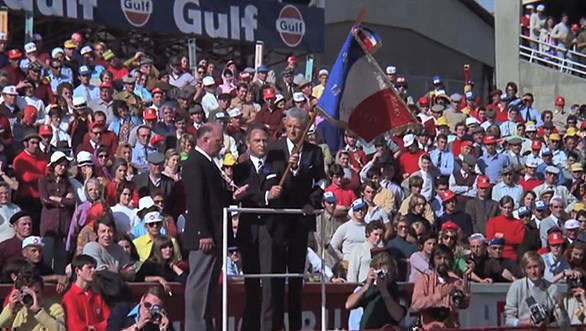 1968 marked a significant year in the history of Gulf's association with motorsport. The company partnered McLaren in the Can-Am, Indycar and Formula 1 races. During this period Gulf secured seven F1 victories through McLaren. Gulf also sponsored the 1969 Brabham F1 team cars. Gulf's link with McLaren in Formula One continued successfully until the end of 1973 season. 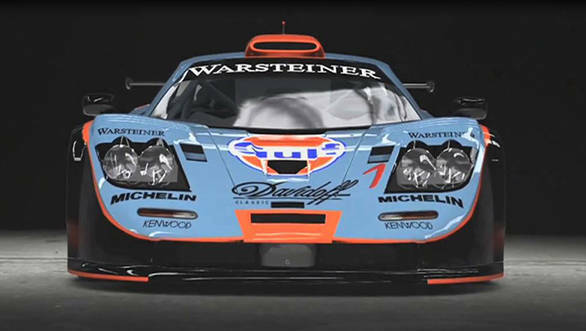 In 1995, Gulf renewed its partnership with McLaren, which lasted till the end of 1997. During that period, the team raced the mighty McLaren F1 GTR. The team took nine race wins during the period while Ray Bellm and James Weaver, won the Global GT Championship title in 1996. Gulf's racing legacy and success continued into the new millennium when Stefan Johansson won the Driver and Team Champion in the Gulf-sponsored Audi R8 in the 2001 European Le Mans series. The year 2005 marked the beginning of a new chapter in Gulf's motorsport history. The Oil major forged a new partnership with Paul Belmondo Racing (PBR). The team was quite successful, recording victories in the LMP2 class at the races in Monza and Silverstone. At the Le Mans 24 hours, the team grabbed the second and third spot on the podium. In 2006, Gulf again sponsored PBR and new LMP2 entrant, Barazi-Epsilon which had a dream debut season. The team took its first LMP2 victory in both the Team and Drivers' championships. While Gulf Oil has had many formidable partnerships with manufacturers, its collaboration with Aston Martin has been one of its most successful and memorable at the same time. In January 2008, Gulf partnered Aston Martin Racing in the GT1 category of the 24 hours of Le Mans. The blue and orange DB9Rs were engaged in a bitter battle with the works Chevrolet Corvettes, and managed to thwart the attacks to calm victory in the GT1 category. Gulf took massive strides in 2009 as it partnered Aston Martin in the LMP1 category. Aston Martin Racing unveiled the LMP1 prototype, the DBR 1-2 in January, 2009. That car, in the hands of Stefan Mücke, Jan Charouz and Tomás Enge, brought outstanding success to the team. It won two successive Le Mans series races, an unbroken run of LMS podium finishes and three Le Mans Series titles of Team, Drivers and Manufacturers. The year 2011, was a mixed bag in the history of Gulf and Aston Martin Racing. AMR introduced the new AMR-1 race car, the first ground-up LMP1 machine from the racing outfit. The open cockpit race car featured a six-cylinder turbocharged engine and was poles apart from the DBR 1-2. Unfortunately, the AMR-1 race car had a dismal outing in the races and it became clear that there was a lot of development work required to be competitive again. The decision to return to the tried and tested DBR 1-2, for the rest of the season was taken and that allowed Gulf and Aston Martin Racing to return to the top step of the podium at the Laguna Seca round of the American Le Mans series. Aston Martin Racing from then on decided to return to the GT class in the inaugural World Endurance Championship (WEC). The Gulf Aston Martin Racing vantage GTE secured the runner up slot in the WEC opening round at the Sebring 12 Hours marking new era in the history of Gulf and AMR. The car finished in P3 at Le Mans, and then went on to clinch six consecutive podium finishes. Finally, at the final round of the season in China, the Vantage GTE won the race. The drivers Turner and Mücke, were understandable elated as the win also handed them the runners up slot in the GTE Pro category of the World Championship. The team carried the momentum in the 2013 racing season where, it fielded four cars, two in GTE Pro and two in GTE AM. The team won in both categories at the opening round at Silverstone and from then on began a series of wins and podiums which ultimately led to the Gulf Aston Martin Racing team winning the 2013 Championship. Year 2014, was another successful year for the Gulf-Aston Martin Racing team. There were a number of wins as well as many 1-2 finishes during the season. The highlight, however, was the emphatic win at Le Mans. The last time the team won that race was in 2008, so the 2014 win was indeed special as the number 95 crossed the finish line. In 2016 a small British squad, Gulf Racing reunited Gulf with Porsche and the team competed in the GTE AM category. It was a new beginning and the team was quite competitive in their Porsche 911 GTE RSR. 2017 brings a new chapter in Gulf's successful history in motorsports. Gulf Racing will compete in the GTE Am category and they'll be joined, in Gulf colours in the most competitive category of this year's race  the LMP2 class. The LMP2 class will see 25 cars on the grid and it'll be quite a challenge for Tockwith Motorsports, who make their Le Mans 24 Hours debut, in a Ligier J2 P217 car. Tockwith Motorsports, though will be all pumped up with their recent Championship win in the Asian Le Mans Series' LMP3 class. Throughout its amazing race history, Gulf Oil has played a pivotal role in ensuring the cars perform at their optimum level. The motor needs to run continuously and without a break for the duration of the race, which is why it's critical to have an engine oil that does its job perfectly. 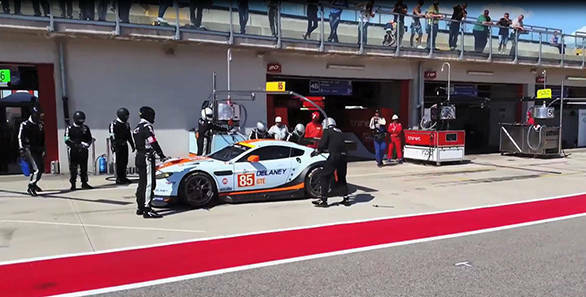 Gulf Oil is a specialist in producing oils that are up to the task of winning races. In fact, Gulf has won Le Mans three times outright and twice more has swept to victory in it's chosen class. Gulf is one of the most successful oil brands in World Endurance Championship history with more than twenty race wins achieved on Gulf lubricated engines. Through the years, Gulf has witnessed the ups and downs of racing and has continually evolved its expertise in the demanding world of motorsport. It simply goes to show that in the history of motorsport, Gulf will always remain as a shining example of company that took on the toughest of challenges and came out on top.